The Vox AC30 was at the frontline of the 1960s British invasion and is synonymous with some of the best music ever written. The word classic is tossed about freely when writers attempt to describe guitar gear, but it's a label that's fully deserved by the Vox AC30. Whether it's the jangling pop of the Beatles, Brian May's chorus effects, or the warm glow of Peter Green's Fleetwood Mac era Blues, the AC30 was crucial to the tone of many of the bands who made their way across the Atlantic in the late Sixties and Seventies. The Vox AC30 was developed at the request of Hank Marvin because his AC15 wasn't loud enough to be heard over the screaming girls at Cliff & The Shadows gigs, and was launched in 1958. It was another two years before it was housed in the cabinet for which it's now famous, the brown cloth covered in a diamond pattern on the bottom, and separated by a gold-toned strip from a beige leather cloth known as Rexine. Despite several changes of ownership over the years, including a period in the 1980s when it was owned by the company which runs the famous Rose Morris music shop in London's Denmark Street, Vox is still going and still making the AC30. One current model is the AC30VR. It's slit panel design makes it look very similar to the AC30s of the Sixties and Seventies. It has two channels; Normal and Overdrive, the former has bass and treble controls, as well as its own volume control, and the latter has a separate Gain knob and Middle control. A Tone Cut Master control dampens high-end frequencies and there are also Master reverb and volume controls. The 30W of power are delivered through two 12in Celestion speakers, and there's a speaker jack on the back for connecting the amp head to an 8 Ohm extension cabinet. There's also a jack for the optional foot switch. 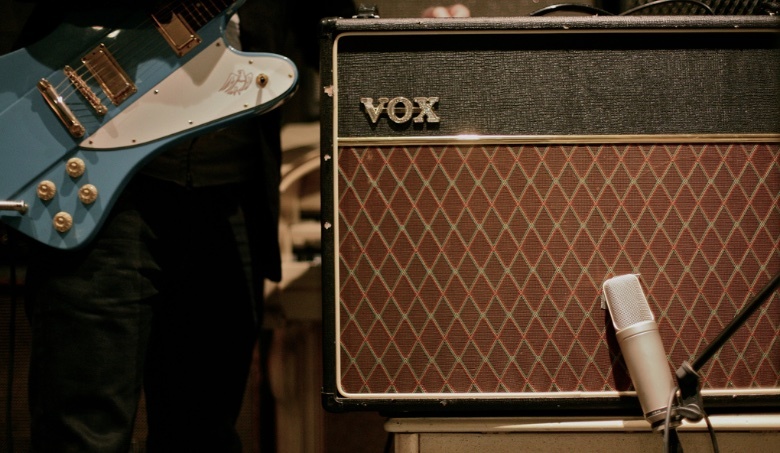 Vox also has several other versions of the AC30, including limited edition, custom and hand-wired versions.